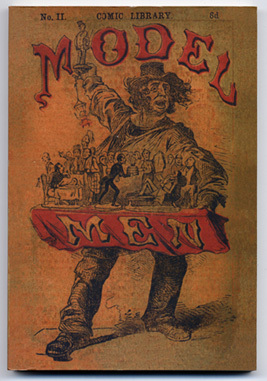 by Horace Mayhew - A reproduction of an English satirical book first published in 1847. It pokes fun at various masculine roles. Although English, the roles were either universal or had counterparts in the United States. Although it was English, the society on both sides of the Atlantic had many of the same values and customs so most of the characters ridiculed had counterparts in both cultures. It begins with the universal "Model Husband" and continues through numerous roles for men, concluding with a chapter that addresses with a line or two a variety or roles. Also enlightening are the pages of period advertisements. To show how little things change, inside the front cover there is an ad for "Gray Hair Restored to Its Original Colour." Other than the spelling of one word, the same ad might be found in a modern American Magazine.